Russia's Evgenia Kanaeva has become the first woman to win two Olympic rhythmic gymnastics all-around titles. The 22-year-old outshone another Russian, Daria Dmitrieva, on Saturday as the duo finished well ahead of other opponents. Kanaeva leapfrogged Dmitrieva, who occupied the top spot after the first day of the competition, courtesy of her flawless performance in the final. 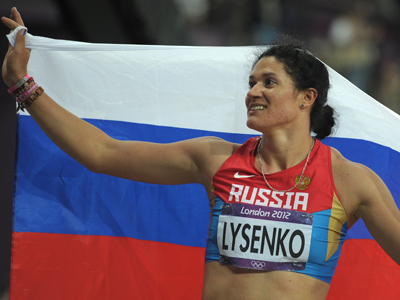 She scored a total of 116.90 more than two points ahead of Dmitrieva with other opponents trailing by a mile. The win caps off a spectacular four-year run for Kanaeva, who has also won the last three world titles. 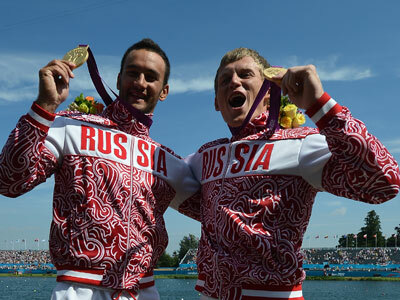 She has also become the fourth consecutive Russian to win an Olympic all-around title. As for Dmitrieva, the shine of silver is not bad at all, as she wasn't even supposed to be at the London Olympics. The 19-year-old was added to the Russian roster earlier this month after Aleksandra Merkulova’s injury. 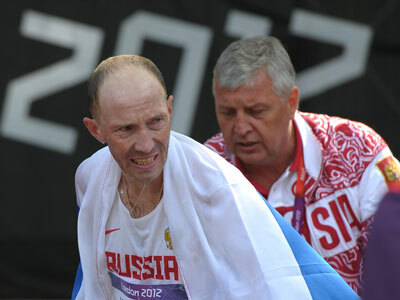 Liubou Charkashnya of Belarus beat Azerbaijan’s Aliya Garayeva for the bronze medal.